We spend a lot of time complaining about what’s wrong with websites – partly because it means we know how to make better ones – and partly because we like complaining. I spoke to some of our staff here to find out what really gets under their skin in terms of websites – and which features they want to shoot into the sun forever. I also took to Twitter to canvas some more opinions, as well as affirm some gripes we already had, so thanks to Alex Hardy, Peter Maude and Barry Briggs. ‘Responsive’ sites supposed to make sure all your content displays properly on mobile devices, but if they haven’t been sufficiently tested after creation – some sites STILL struggle to make themselves multi device friendly. Some responsive sites don’t allow users to zoom at all, making the extra effort to make the site responsive to begin with redundant. All of our sites are tested rigorously on a host of devices to make sure they are readable, usable and beautiful on every screen size. The modern consumer expects this and businesses with no mobile strategy are missing out on £50bn a year! Yes, websites need to make money, and those precious click-throughs aren’t going to get themselves – but unnecessary pagination is definitely one of the worst offenders in terms of website faux pas. This is the technique where sites add extra pages to milk the most of out on-page advertising – the higher the page views = the higher the income from the ads. Remember the days when a top ten list might have more than one selection on a page? Those days are long gone, as most times now draw a list out over a series of pages. This often means viewers lose interest mid way through and is an example of how to effectively bore and frustrate your viewers. Like the example above, pop-up ads continue to be the bane of many peoples online existence. These are especially frustrating on mobiles, often covering the entire screen and making the site unusable. 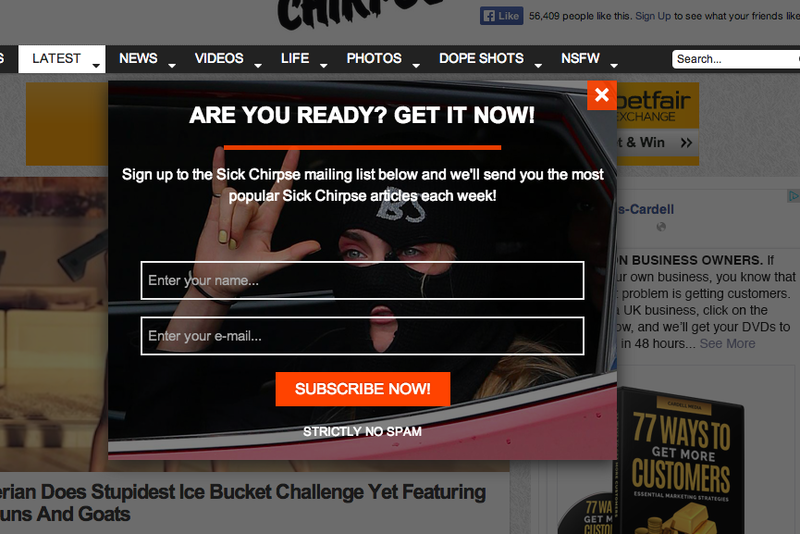 Pop-up ads that encourage users to ‘like’ the page on Facebook, sign up to the newsletter or register are especially irritating if they continue to appear once the action has been completed. 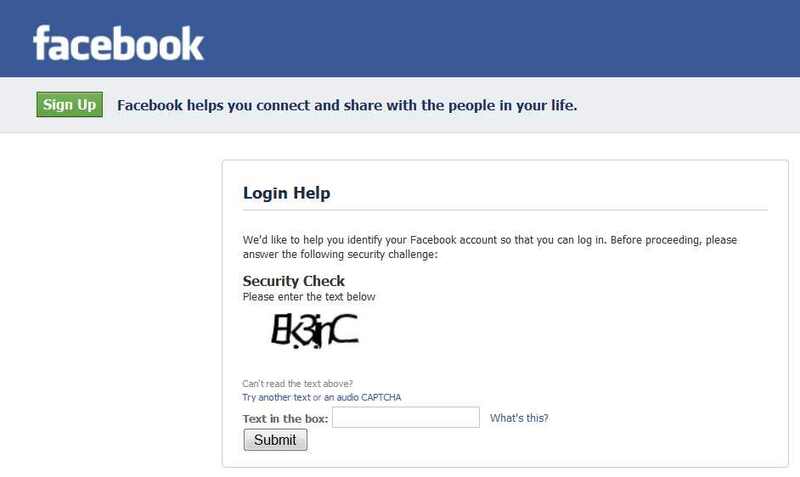 Speaking of Facebook, I think they win the award for the most ridiculous captcha seen in a while. The captcha is one of the oldest techniques for avoiding spam bots and other online nasties, but as spam bots get more sophisticated, in turn captchas are becoming even more complex. This has lead to a cat and mouse operation between the captcha creators and the spambots, a race in which the user is the only loser. Some online forms are only submittable if you can read a made up word, in italic, printed inside a pixelated image. And don’t even get us started on online forms that clear all the fields if a problem arises. Our blood pressure is rising just thinking about it. Your password must include: your mother’s maiden name, three special characters, a capital letter, six numbers and a picture of a horse. We understand that online security is important, but password requirements are getting way out of hand. I’ve lost count of the amount of times I’ve had to use a ‘forgot your password’ service because my original password had more stipulations than your average mortgage.